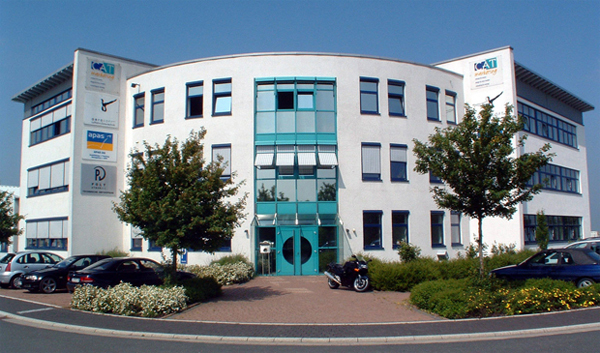 The Aerosoft GmbH was founded in 1991 at the Airport Paderborn/Lippstadt. In the beginning, the development of software for training and exam preparation of pilots as well as the distribution of professional procedure trainers were the main focal points. Since 1992 add-ons for the Microsoft Flight Simulator are being released. Also in that year, the ACP (Aircraft Control Panel) marked the first own hardware release. The year 2002 saw the introduction of the label “Train World” for worldwide publishing of add-ons for the Microsoft Train Simulator. Later on additional simulations followed, like the series “World of Subways” and OMSI. In 2012, the company expanded its flight simulation portfolio with the release of “X-Plane 10”. These days, the label Aerosoft houses an even broader range of titles like “ATC Global”, “Fernbus Coach Simulator”, “Emergency Call 112 – The Fire Fighting Simulation”, and the truck simulator “On the Road”. About 30 employees and more than 50 freelancers work for Aerosoft today. In conjunction with the numerous cooperations, Aerosoft can be counted as one of the world’s leading publishers in the simulation genre. Thanks to strong distribution partners in Europe, South America and the USA, Aerosoft today generates over 50% of their turnover abroad.Numerous international awards from the industry and customers alike repeatedly prove the high quality standard of the products. Increasing interest from airlines, pilots and flight instructors illustrate the great realism of Aerosoft’s software. For sales and software development, Aerosoft is supported by the subsidiary and sister companies Simware, Brussels; Aerosoft USA, Inc., Florida and PAD-Labs, Germany. Aerosoft cooperates with lots of companies and software studios around the world, among others, Carenado, CH-Products, Contact Sales, Crenetic, DFS, Digital Aviation, Dovetail, EPS/Globe-pm, Flight 1, Fraport AG, GoFlight, Just Flight, Laminar Research, Lufthansa Systems, Mailsoft, PAD-Labs, PILOT's, PMDG, Saitek, SimWings, TML-Studios, Toxtronic, VR Insight, WILCO, XHT-Labs, XYZ Visuals, z-software, 777-Studios, flight schools and universities. Our sales partners are, among others, NBG, Conrad, Simmarket, Mailsoft, Just for Games, Just Flight, Contact Sales, Steam, Amazon, Techland, Zoo Corporation, Center Soft, eDimensional and PC Aviator.